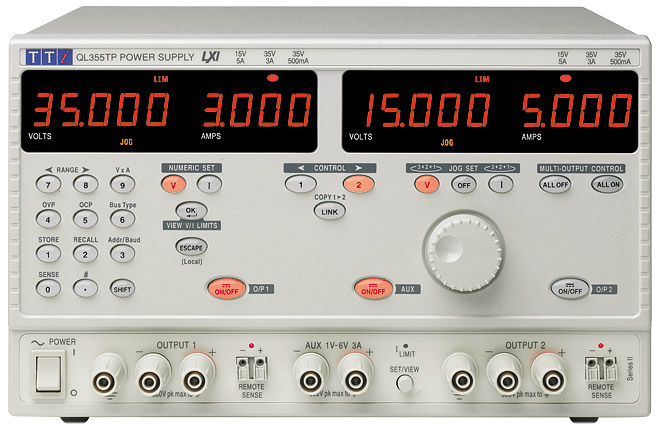 The original QL series re-defined the laboratory power supply in terms of precision and performance. Now the QL Series II builds upon that success and adds new features and models. The QL series offers an unparalleled level of precision. Voltage and current are controlled using instrumentation quality 16 bit DACs enabling voltages to be set to 1mV resolution even at full output voltage. Indeed, the accuracy is sufficient for the QL to be used as a calibration source for some hand-held DMMs. 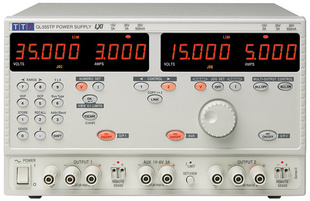 The QL series II provides multiple ranges for increased current capability at lower voltages. The QL564, for example, is a 112W PSU with three ranges. The main range offers 0 to 56 volts at up to 2 amps. The higher current range provides up to 4 amps for voltages up to 25V. A further low current range provides an enhanced current setting and measurement resolution of 0.1mA. The QL series uses pure linear technology and offers unrivalled performance in terms of regulation, output noise and dynamics. Line and load regulation are close to the limit of measurement. Recovery time from transient current pulses is better than 50µs. Differential output noise is less than 350µV rms in CV mode and down to 20µA rms in CI mode. Of equal importance for critical applications in areas such as telecoms is common mode noise current (the noise current flowing between the output terminals and ground). This is less than 4µA rms on the QL Series - dramatically better than most other PSUs.